Description: The Jungle Cabina, or jungle room as we sometimes call it, is our favorite, even though it doesn’t have the ocean views. It’s one of the largest cabinas and the design, decor, and lighting are all very unique and beautiful. 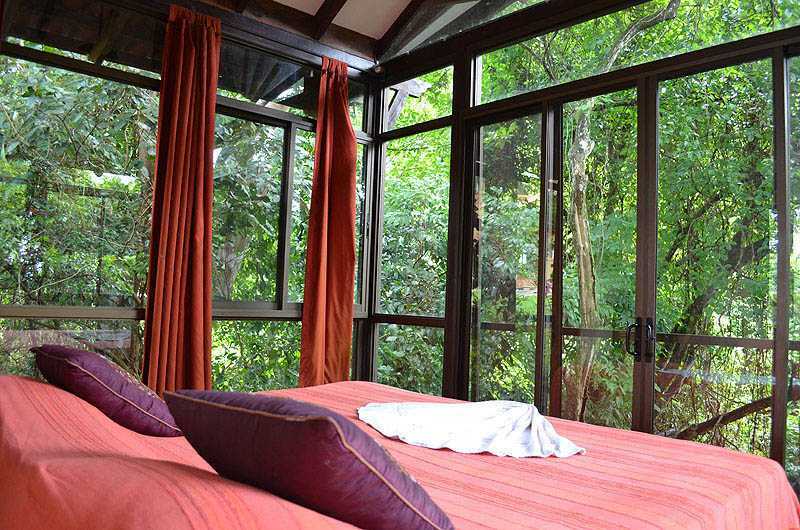 But what really makes it stand out is that the bedroom section is build high above a steep slope, making you feel like you’re in a treehouse high up in the jungle canopy. This section has three walls of glass to really connect you with the outside. Even if you’re not staying here, be sure to come check it out because it’s amazing. 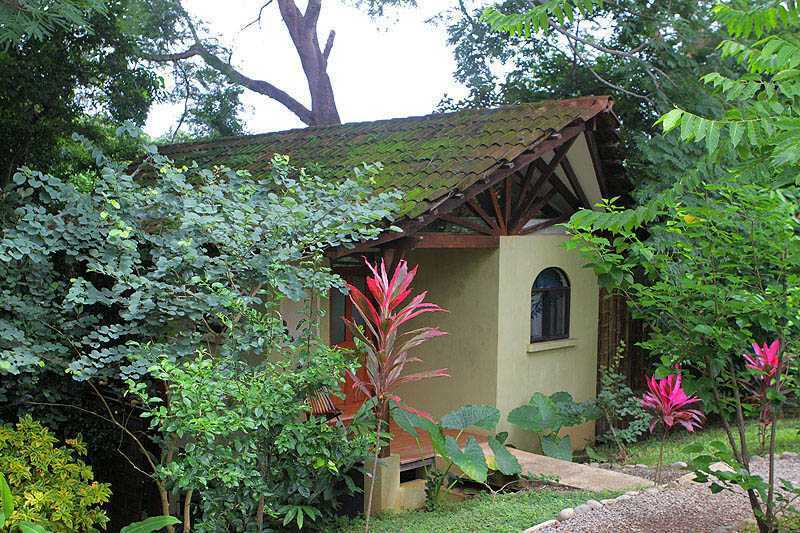 The jungle cabina is usually not the first one picked by guests because it doesn’t have an ocean view. However, us owners who have stayed in all the rooms pick this as one of the best. 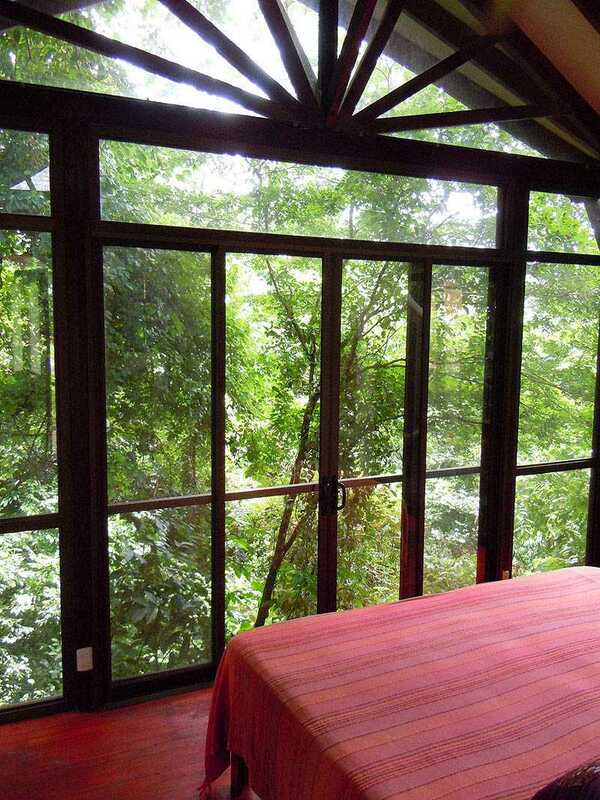 The reason is that the bedroom has three walls of glass, looking out into the jungle and canopy, very high up off the ground. You will feel like you’re in a treehouse. The jungle cabina also has a lot of windows and doors that can be opened for great airflow, and is nearly perfectly shaded from the sun, keeping it cool all day. In this photo you can see the ladder leading up to the loft, which has a bed in it, and there’s also a tiger-stripe sofa/daybed on the right. This photo best shows the views out of the transparent walls that surround the beds. 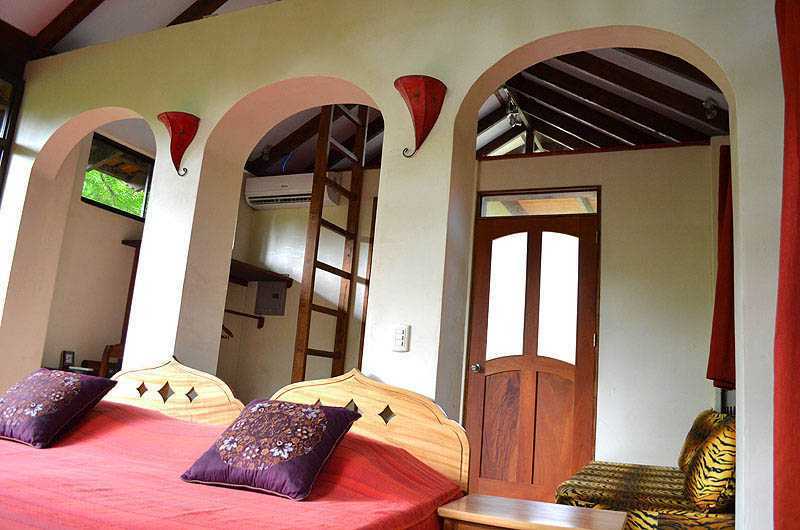 Our guests have seen monkeys, anteaters, toucans, and many other animals from their beds. 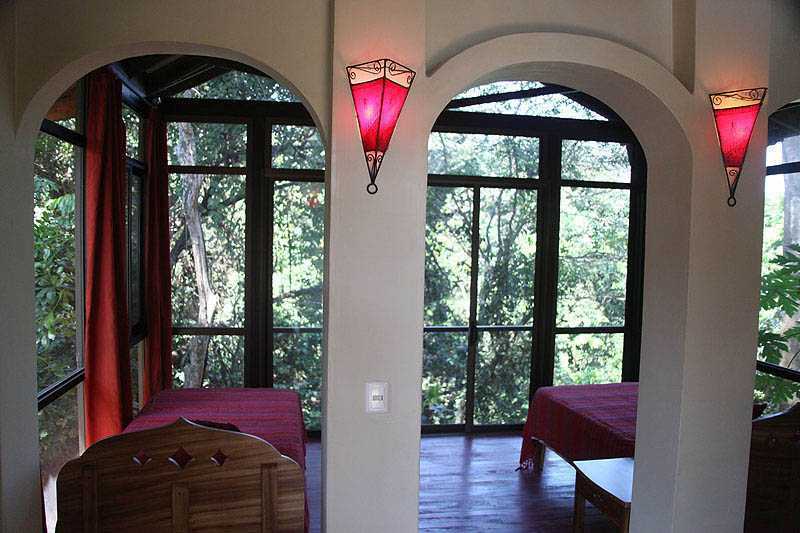 Surrounded by lush jungle, and with the sound of the nearby Montezuma Waterfall, the cabina is the most tranquil of all. 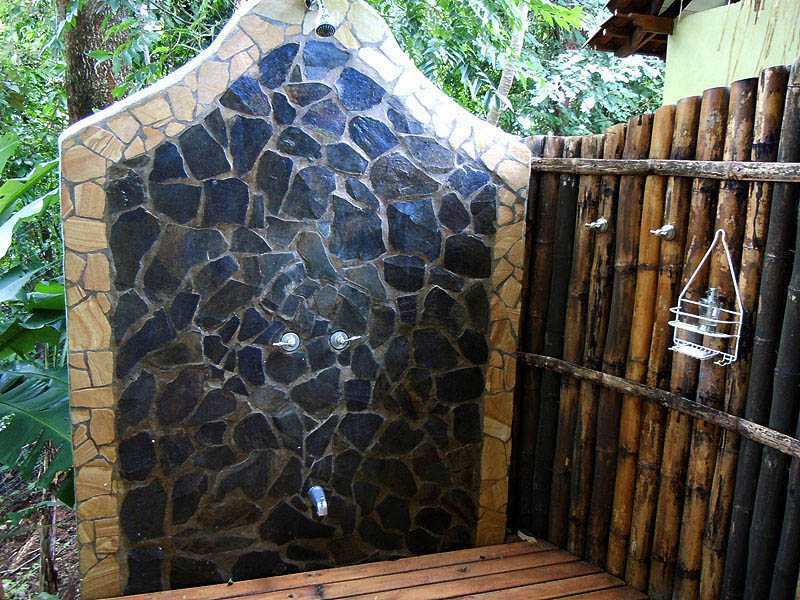 The jungle cabina has a bathroom with the sink and toilet inside and the shower outside, facing directly into the open jungle. The interior architecture is the most interesting of the cabinas at Anamaya, and it also has the most unique and beautiful lighting.